In his book “Presidential Leadership and the Creation of the America Era,” Joseph Nye of Harvard University divided American presidents into two groups. One is made up of “transformational” leaders — those with the grandiose goal of using American influence to spread democracy and liberty around the world. The second group contains “transactional” leaders — pragmatists who have modest goals. Although, I agree with Mr. Nye’s conclusions premise of classifying leaders. Characteristically, these leaders come from the rank and file of the industrial military complex, and take power through sudden change with no popular base of support. Thereafter, they suffer from political paranoia and xenophobic personality, don’t trust anyone and spend most of their tenure trying to survive and maintain their power. They tend toward paranoia and steer away from challenging the status quo. They start creating and fighting imaginary enemies, become less and less democratic, and eventually emerge as full-fledged dictators. As American historian Richard Hofstadter once said, “A fundamental paradox of the paranoid style, is the imitation of the enemy.” He gave McCarthyism as an example as it emulated the secretive organization style that Communists were known for. A paranoid leader takes history personally. Similarly, military leaders in Egypt emulated the very dictatorial monarchial systems they toppled. Currently, General el-Sisi’s heavy handed killing of his opposition since the coup is emulating state terrorism, upon which he himself waged war. Historically, it started in 1952, with the Free Officers’ coup, which toppled the last monarch and produced the first Egyptian president — the uncharismatic Gen. Muhammad Naguib. He was a figurehead, a second man to the real leader, Col. Gamal Abdel Nasser, the brains of the Free Officers revolution. In 1956, Nasser removed Naguib and took over the government. When President Nasser died of a heart attack in 1970, the country was not ready for his early departure. To many, he was a national hero who had given Egyptians a sense of purpose and a new national identity. But he had never been fond of sharing power; he hadn’t groomed any successor. Like Naguib before him, President Anwar Sadat was a second thought, someone who hadn’t shown any leadership tendencies during Nasser’s rule. He was called the “yes man” of Nasser by most Egyptians. But Sadat was in the right place at the right time. He was the head of the lower parliament, a token institution where he made sure members rubber-stamped Nasser’s outlandish policy decisions. After gaining power, Sadat didn’t waste any time. He courted the Islamists to counter the opposition from the left, which had flourished during Nasser’s rule, and gradually removed any trace of Nasser’s legacy, or any threat to his own absolute power. After Sadat’s assassination in 1981, along came President Hosni Mubarak, another young military man, a pilot. He was also the “yes man” for Sadat. Likewise, he, too, was in the right place at the right time — sitting next to Sadat in the infamous military parade stand—a top gun promoted to top dog, if you will. For 30 years, Mubarak managed to keep Egypt out of history. His biggest accomplishment was keeping the peace with Israel while wars engulfed the rest of the Middle East. Then came the Jan. 25th revolution when millions marched in the streets and toppled the longest-ruling dictator over 18 glorious days in 2011. 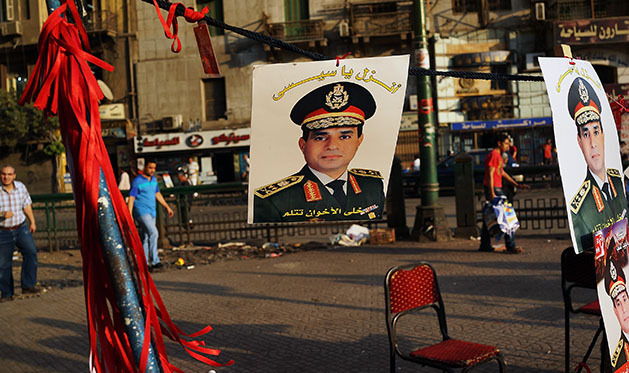 The military seized the opportunity, sided with the revolution, and forced Mubarak to resign. Thrust into the leadership position was Field Marshal Mohamed Hussein Tantawi, head of the Supreme Council of the Armed Forces. He had been silent for 20 years as Mubarak’s defense minister. During that time, Tantawi had mismanaged the country at a very critical time, and micromanaged the presidential election that elevated an obscure member of the Muslim Brotherhood. When Mohamed Morsi became president, he was actually the second choice for the Brotherhood. 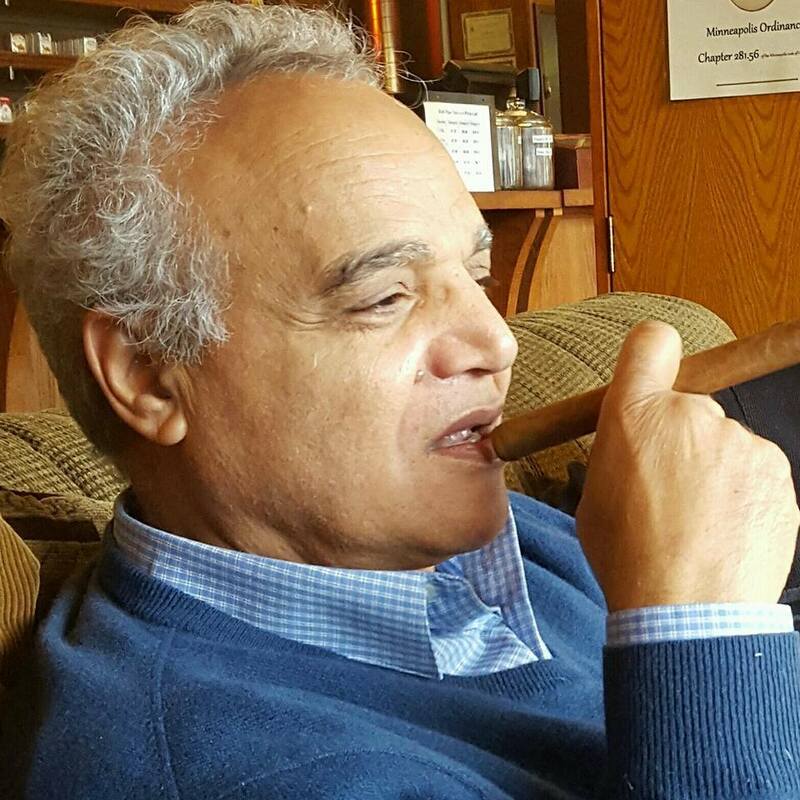 He was pushed into the political process after the Supreme Council ousted the Brotherhood’s preferred presidential candidate — the sharp, powerful, charismatic businessman, Khairat el-Shater — to run against one of Mubarak’s old generals. But Egyptians, who had just toppled Mubarak, were in no mood to go back. They preferred having the Islamist Morsi in power than another one of Mubarak’s henchmen. So millions of secular liberals reluctantly joined in with brotherhood and voted for Morsi, who became the first elected civilian Egyptian president ever. Morsi ran Egypt as a Brotherhood nation. He was accused of being another Mubarak, amending the constitution and putting himself above the law. He tried to remove the military from politics but he wasn’t decisive enough. He forced Tantawi into early retirement and replaced him with a religious, some even say ‘salafy,’ general. The military gave Morsi and the Brotherhood enough rope to hang themselves. It took Sisi only one year to plot a popular coup, a year of media campaign demonizing and nullifying Morsi and his Brotherhood clans. Millions of people went to the streets asking for his ousting. Sisi seized the moment, President Morsi was kidnapped and put under house arrest. The graduate of the American War Collage executed the plan straight from the American playbook — waging a war against the Brotherhood under the banner “war on terror.” He suspended the constitution and Parliament, expelled human-rights organizations, shut down opposition institutions and media, and killed according to human rights and Amnesty International, nearly 1,000 in a crackdown on pro-Morsi supporters. Now he is trying to show Egyptians and the world that he is not another accidental leader. He is the strong military man who will save Egypt and Islam from the Brotherhood terrorists — another imaginary enemy of Egypt, where the really one is flourishing next door.